If you have oily skin or and you want to take ultimate care of your skin with a toner which refines your skin, read further. 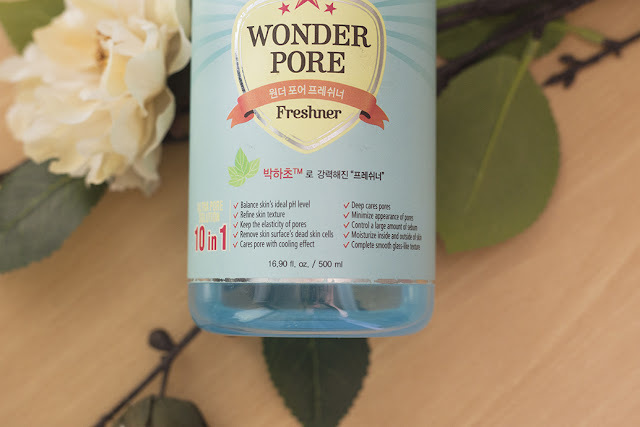 Etude House Wonder Pore toner is the best and the huge 500 ml bottle holds more than enough for long time to use. The bottle is light blue and originally it came along with a big box of cotton pads. There is also a bottle of 250 ml for those who prefer smaller one for travelling! As the title tells Wonder Pore Freshner minimizes the pores. It also manages excess sebum, refines skin tone, removes dead skin cells, deep cleanses pores, moisturizes skin as well as balances skin's pH level. So it has many benefits — no wonder the bottle says 10 in 1. The applicator is also really practical: just push the pump down and apply toner onto the cotton pad. 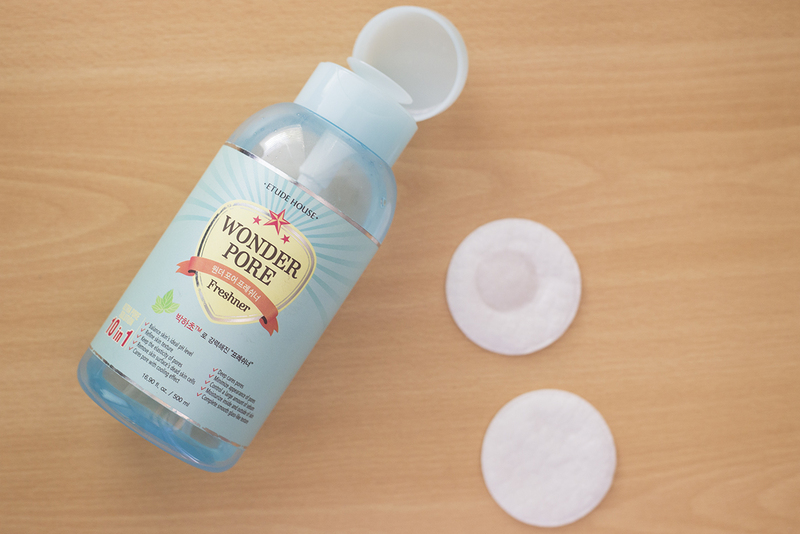 Wonder Pore's Peppermint extract is the one which this product is known from. It leaves a cooling sensation and gives a fresh feeling on skin. This product also doesn't contain harmful ingredients like mineral oil, fragrance, coloring, talc, animal ingredients and silicone oil. Still, it does include alcohol which is not suitable for dry skin type. 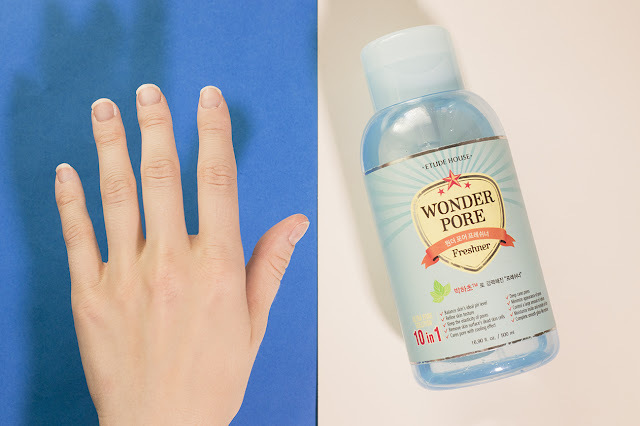 Hence, it's important to moisturize your skin after using this toner. I think this is great for oily skin type because it is a bit drying and the achillea millefolium extract restores suppleness of the skin and minimizes the pores.The full list of ingredients you can find below. Thanks for reading and remember to Subscribe, Follow me with Bloglovin and Facebook!